Last month, the switch was flicked and Vodafone turned on its LTE network for existing customers. Today, the telco has opened the new network up to everybody. The only 4G network in Australia with 20MHz of contiguous spectrum, which should help handle congestion and boost download speeds, Vodafone's LTE network has been in development for the past 18 months and is set to grow rapidly over the course of the year. Vodafone has already announced its plans to triple the number of 4G network sites by the end of 2013. To accompany the new network, Vodafone has already updated its tablet plans and data add-on pack pricing for customers. 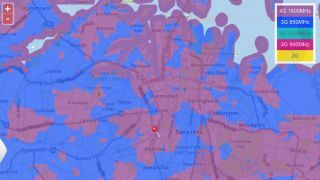 Vodafone has new, updated coverage maps that outline exactly where to expect 4G reception around the country. Given the horrendous time Vodafone had surrounding its coverage back in 2010 and 2011, it's no surprise that the telco is doing its best to try and ensure that customers know exactly what to expect if they sign up to its 4G network. Vodafone is also continuing its network guarantee, which offers new customers 30 days to test that the network meets their needs.